FRANKLIN, Tenn., March 6, 2014 – Physicians Urgent Care (PUC) of Franklin, Tenn. recently announced that they will open their second location in spring 2014 at The Shops at Seven Springs, a new retail center located on Old Hickory Blvd. in Brentwood, TN. Physicians Urgent Care has proven that high quality care is a standard by consistently averaging a 99% customer satisfaction rating. ER visits often have long wait times and can cost thousands of dollars, but Physicians Urgent Care can have you out the door in less than an hour, often costing under $150. The 4,200 square foot urgent care facility will be open 12 hours a day, 7 days a week and is staffed by a group of experienced, emergency room doctors, including Dr. Nabil Boutros, Dr. Brady Allen, Dr. Brian Fengler, Dr. David Whetstone and Dr. Stephen Anderson. Unlike other minute or walk-in clinics, patients are seen by one of these skilled ER physicians every time. 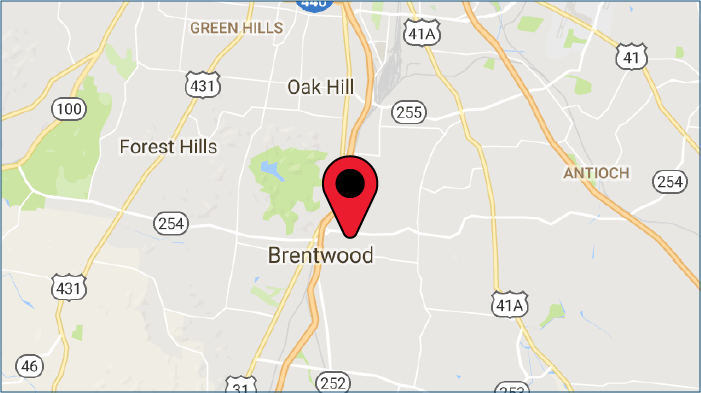 The Brentwood Urgent Care location will offer on-site x-rays, fracture management and laceration care, as well as treatment for a number of illnesses and injuries, from sinus infections and pneumonia to insect bites and poison ivy relief. Physicians Urgent Care also offers sports physicals and specializes in pediatric care; in fact, among the 5 partners in the group they have 17 children! Appointments are not necessary, but patients are encouraged to check-in online through InQuicker to allow for a faster and more convenient visit. If you are sick or injured and need an experienced physician fast, visit their website at PhysiciansUrgentCare.com, call them at (615) 472-1550, or drop by the clinic today. For more information, contact Dr. Brian Fengler. Signs and Symptoms: Is It A Cold Or The Flu? Are you feeling “under the weather?” Cold and flu season is upon us, and if you’re runny nose or nagging cough has turned into a full-blown cold, then it may be time to drop by Physicians Urgent Care for a tune-up. Flu symptoms often start the same as a cold, but do you know when you’ve crossed over into the realm of influenza? Both a cold and the flu may give you a sore throat, runny nose, chest congestion and a cough, but the flu will add a fever, muscle soreness and a headache. Cold symptoms usually last about a week with a contagious period of around 3 days. Flu symptoms usually last about the same amount of time (roughly 5 days) but are usually more severe and often leave you feeling run down for a week or more. Taking precautions such as washing your hands and getting plenty of sleep during the cold and flu months is always wise, but if you haven’t yet had your seasonal flu vaccine, it’s not too late to get one. 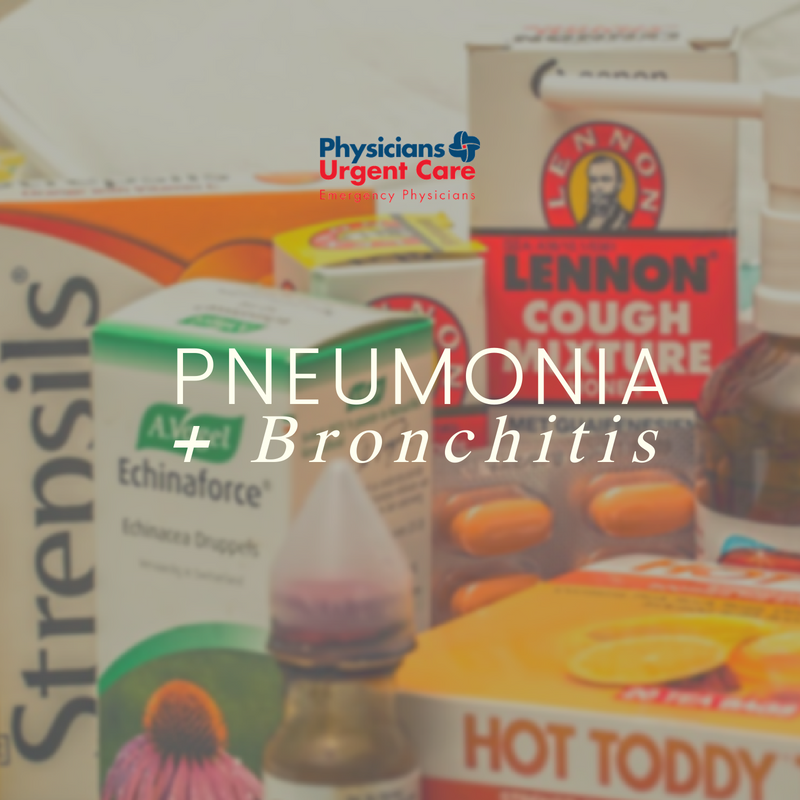 If you’re miserable with the symptoms of a cold or the flu, or want to get a flu shot to keep from feeling miserable later, come into the Physicians Urgent Care clinic in Franklin, Tennessee. We can help you find relief when you’re feeling the aches and discomfort of cold or flu-like symptoms. Open seven days a week with no appointments necessary, our experienced medical staff is here to help you. For any injury, illness or pediatric medical needs, you can count on the compassion, expertise and state-of-the-art equipment at Physicians Urgent Care. With convenient hours, we’re here for you and your family with on-site X-rays, diagnosis and treatment. At our facility, we are able to care for illnesses and injuries that most doctors’ offices are not equipped to handle. Your health care is our concern. When you are ill, in pain or in a rush, we are in your neighborhood to provide you with quality medical care. Winter Allergies vs. a Cold – Am I Sick, or Are These Just Winter Allergies? Winter is here and you heave a sigh of relief because pollen allergy season is over. But before long, you’re sneezy, sniffly and stuffy again. Do you have a cold, or do you suffer from winter allergies? Winter allergy symptoms show up when you hibernate indoors due to the cold, inclement weather. The furnace blows warm air through the house along with dust, mold spores and insect particles. These specks get inhaled and promptly set off an allergic reaction. Having your pet inside with you during the cold months may also trigger allergic reactions due to their dander. 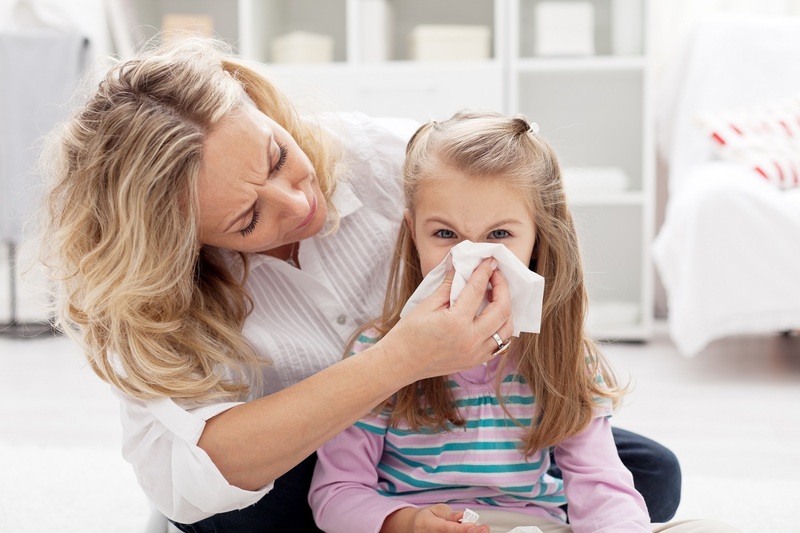 Common symptoms of winter allergies include coughing and sneezing, itching eyes and a runny nose. These symptoms may last through winter, or they may come and go. So how do you know whether you have allergies or a cold? Several of the symptoms are the same, but the differences are indicative. 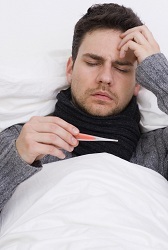 A cold usually lasts from 5 to 10 days, and often includes fever, chills and pain. Allergy symptoms last longer, but fever and pain are not included in the symptom list. Treatment for fighting winter allergies includes taking medications or injections to control the symptoms. Also drink plenty of fluids to stay hydrated. Inhaling steam from the shower helps many allergy suffers by loosening mucus and relieving congestion. If you don’t receive the relief you need with these measures and medications, visit the Physicians Urgent Care Clinic in Franklin, Tennessee. Our trained health care professionals will check you thoroughly and treat you and your symptoms to give you the relief you seek. We might not be able to control the weather, but we can alleviate your discomfort. Come in today, and start feeling better. “‘Tis the season to be jolly”—and did you know that it’s also the season for a variety of holiday accidents? Just as “it’s beginning to look a lot like Christmas,” car crashes, falls, burns, and stress-related heart attacks displace our celebrations. According to statistics, 40% of annual pedestrian accidents happen during the holidays. And decking the halls can become downright dangerous if we’re not careful. So here’s a quick heads up from your local urgent care clinic to keep you safe this holiday season! Holiday-related fires injure over 1000 people annually. Christmas trees cause over 200 fires each year and candles are the culprit in many of those fires. Space heater burns and burns acquired while cooking multiply at this time of year. Holiday decorating accidents send over 1200 people to their local health care facility. 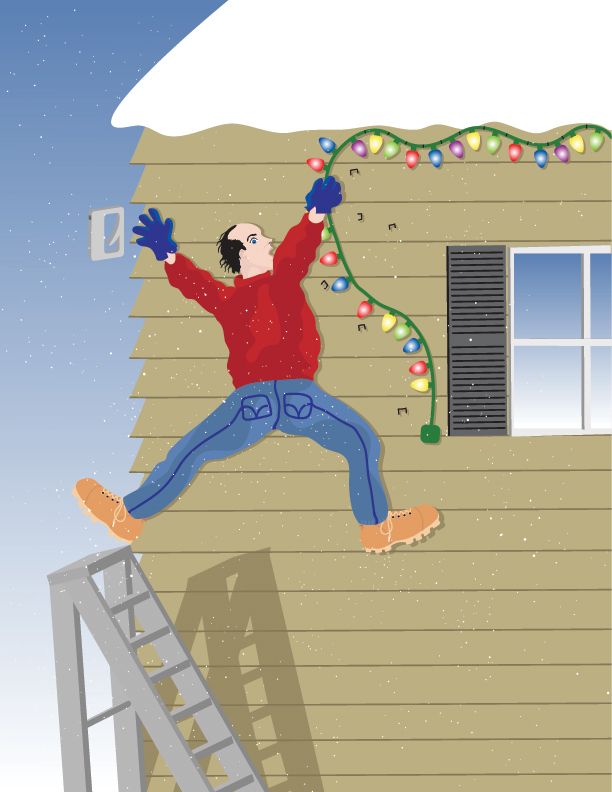 Falls due to inclement weather and tripping over holiday decorations and wiring add numbers to the accident tally. Car accidents occur as, “bearing gifts, we traverse afar” “in a winter wonderland.” And packing up all those gifts presents another risk—injuries due to lifting presents and carrying luggage are part of the mix. As if it wasn’t enough, we must also watch what we eat in order to guard against weight gain through all the festivities. And food-borne illnesses require our attention as well so beware the leftovers. And it isn’t just calories that must be watched. Holiday plants that are poisonous to children and pets include poinsettias, mistletoe, and holly berries. Winter sports also contribute a share in the injury numbers. Did you know that 35,000 sledding accidents are recorded every winter? Treatments ranging from cut wounds to skull fractures factor into these winter injury statistics. As your local emergency physicians, Physicians Urgent Care wants to remind you that most holiday accidents occur when our attention is diverted from what we’re doing. Avoiding distractions and being aware of your surroundings can help to avoid mishaps and related injuries. If you do need medical attention the season, your Franklin Urgent Care facility is here to take care of you. We wish you and yours safety, peace and joy this season, and a happy New Year! Having fun on Halloween follows only Christmas and their own birthday for days that make kids happy. But what was, in the past, a carefree evening for kids in the neighborhood has become a night of concern for parents everywhere. There has to be a balance in the mix of how to allow your children to have a great evening of innocent fun and still manage to keep them safe from harm. 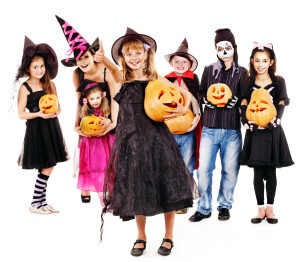 There are ways to make it work, and parents can incorporate several Halloween safety tips that will give them peace of mind while the kiddos have an exciting night. Let’s look at some ideas that afford both parents and children just what they’re looking for on Halloween. Visibility is a major concern for parents and drivers after dark. Dress your children in light-colored costumes, and add strips of reflective tape to both the front and back of the costume. Flashlights or glow sticks are also a good idea for the kiddos to carry. Together these “tricks” will make the kids easier to be seen. Remind your children of general safety rules for crossing the streets when they are out for Halloween. If they’ll check both ways before stepping out into the street, and have their flashlight and reflective clothing, they’ll see cars before there is danger, and drivers will be able to see them. Well-fitting costumes that are the right length for your child protect him from tripping over his own clothes, lessening the risk of falls. She may want to wear high heeled shoes, but she’ll be safer and more comfortable in flatter-soled footwear. Flame-retardant costumes, whether of manufactured fireproof fibers, or through chemical treatment, will help keep kids safe. Do-it-yourself sprays are also available if you make up the costume from home clothing. Face-painting wins out over a mask in offering children a full field of vision. If a mask is part of the costume, be certain the eye holes are large enough for good range of vision, and that the nose holes allow for easy breathing. Name tags that include a phone number may be a good precaution. Feed your children well before they go out to gather treats. This will help them to follow your rule of not eating any of their candy until they return home and you have opportunity to examine it. After you’ve gone through everything, let them know that eating only a few pieces of candy at a time allows the treats to last longer. Not that anyone really expects that “trick” to work, but you can always try. For ultimate protection and peace of mind, accompany your children on Halloween. Take a group for even more fun together. If you are unable to go with your kids, pay a trusted teen-ager to herd them for you. Remind them that they are not to go into any houses, nor get into any vehicles with strangers. Only going to doors where the home’s porch light burns is a good rule to follow. Halloween safety is important to us all. Following these few tips can go a long way to making this Halloween a happy night for everyone. And when you tuck your children safely into bed, remember—only a few pieces of candy at a time! 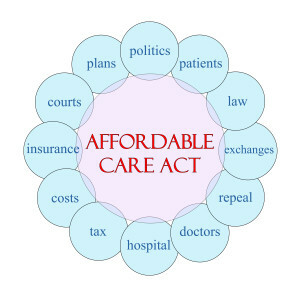 How, exactly, will the new health care law, The Affordable Care Act, affect you and your family? Who will answer your questions? Who will be covered? What conditions will be covered? What are the premiums to be, and how are they set? When does all this start, anyway? Where do you go for information that will clear up the confusion that abounds right now? One site to search for your options for health care coverage that lays out information on the various plans offered, private insurance plan comparisons, comprehensive benefits and qualification information, and facts regarding cost to you is http://www.healthcare.gov/. This site has the latest data for determining which insurance plans are available to you in your state, and how to enroll in your selected plan. All of the coverage plans offered under The Affordable Care Act are required to cover a comprehensive set of benefits including doctor visits, wellness care, hospital stays, and prescriptions. Denial of coverage due to pre-existing conditions is prohibited, and everyone must be fairly treated under the prescribed plans. Coverage starts as soon as January 1, 2014. Check out the government’s healthcare site as soon as possible for how all this works for you and what your benefits will be. There are key deadlines, so visit the site for resources and checklists available 24 hours a day, seven days a week in English and Spanish and other languages. Find out if you qualify for programs such as Medicaid or CHIP or lower premiums and out-of-pocket costs. The Affordable Care Act is set to make changes in the lives of millions of Americans. Health insurance billed to fit your budget and meet your health needs is set to take effect with the coming New Year. If you need to speak with a knowledgeable customer service representative, call 1-800-318-2596. Get informed, get coverage, and get ready for government-provided health care. 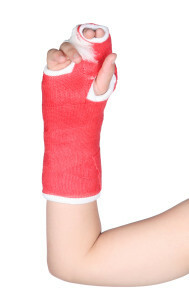 Not so long ago, when your seven-year-old fell out of the tree and broke his arm, your only recourse was the Emergency Room. There you were offered an ice pack to place on the break, and had to wait for hours until it was your turn to be seen. But no longer is this your only choice. Now you can see an ER doctor without the lengthy wait. Physicians Urgent Care in Franklin, TN , brings quality medical services to the residents of Williamson County. Come on in, and you or your family member can be seen within a fraction of the time you’d expect in an ER, and be charged a fraction of the cost, as well. While time and expense are both less, the patient care is no less than exceptional. Staffed with actual ER doctors, the goal of Physicians Urgent Care is to provide high quality health care with the utmost skill and personal attention. Equipped with the latest resources that allow for precise diagnosis and treatment, Physicians Urgent Care is fully prepared to cover a wide range of illnesses and injuries. With on-site X-ray, in-house lab, and private treatment rooms, you are guaranteed the best level of care at our walk-in clinic. With no appointment necessary and open 7 days a week, illnesses, fractures, and serious lacerations that most doctor offices can’t accommodate are attended to with an exceptional level of skill and sensitivity. 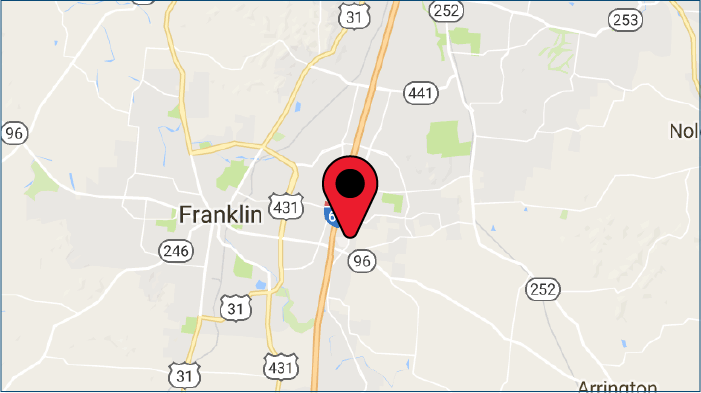 Providing efficient, affordable, and trustworthy medical attention for children, adults, and seniors, Physicians Urgent Care, in Franklin, Tennessee, is a mission of healing when your health is in jeopardy. 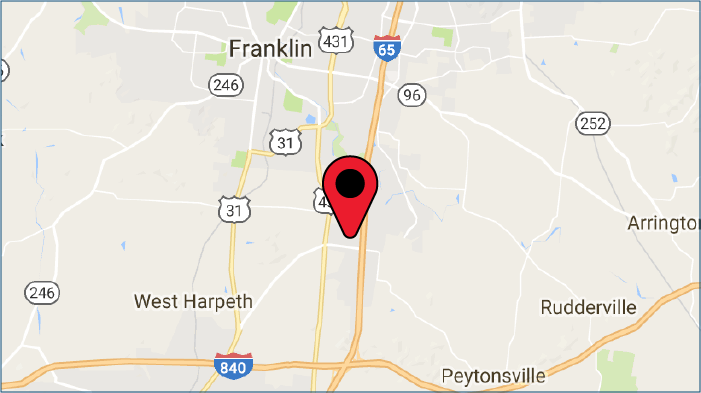 The next time you experience a need for emergency care, come to your nearest Physicians Urgent Care, where our Franklin patients are the focus of attention.